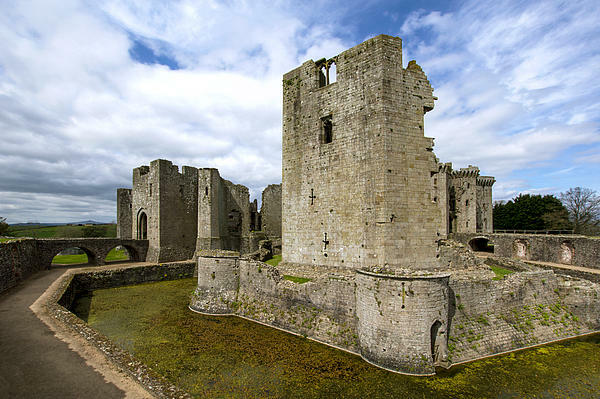 Raglan Castle is a late medieval castle near the village of Raglan Wales build between 15th and 17th centuries. 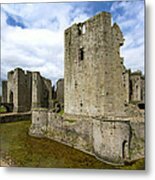 The ruling families of Herbert and Somerset created a luxurious, fortified castle with a large hexagonal keep. 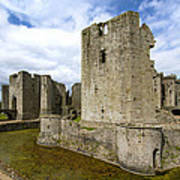 During the English Civil War the castle was held on behalf of Charles I and was taken by Parliamentary Forces in 1646. The tower viewed in some photos was a last line of defense when the castle was attacked. 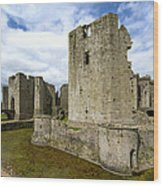 One of the best Castles standing today.